Have you ever felt like your spirit is crushed and your heart broken? Like you’ve been pounded into dust or smashed to smithereens? When you’re ground down like dust and broken into pieces, God is there beside you. We often want Him to prevent or remove bad things but it seems that in most cases His preference is to walk with us through hardship rather than stop it from ever happening. We are promised deliverance, but in His timing, not ours. Let’s read some of the context for this verse (you can click here to read the whole Psalm). It’s clear from this psalm that righteousness doesn’t exempt us from bad situations. In fact, “many are the afflictions of the righteous” and they have to cry to Yahweh for deliverance. That holds true for believers throughout the ages. In 1 Corinthians, Paul makes several references to leavening and to Passover. For many readers today, these references mean very little because so many Christian churches have strayed from the roots of their faith, which Paul was referencing here. In order to really understand key passages of 1 Corinthians, we need to understand Passover and the Feast of Unleavened Bread. I know some (perhaps quite a few) of you are Christians who don’t keep Passover, but I hope you’ll keep reading today’s post. I think you’ll find it interesting and maybe it’ll give you something new to think about and study. The Passover story begins in Exodus 12. We’re nearing the end of the plagues of Egypt, and the Lord is telling Moses what the Israelite must do to avoid the final plague — the death of the first born. In the first month of the year, on the evening that begins the 14th day (Hebrew days begin at sunset), Israel was to kill a young male lamb, paint the door posts of their houses with its blood, then roast the lamb whole and eat it with unleavened bread and bitter herbs (Ex. 12:1-13). The Lord goes on to describe a festival of unleavened bread (matzah) that follows the Passover. For seven days, no leavening (hametz) is permitted in anyone’s house and whoever eats leavened food will be cut off from God’s people (Ex. 12:15-20). Later instructions in Leviticus clarify the timing of all this, stating that Passover is on the 14th and Unleavened Bread begins with a holy convocation on the 15th, then ends with another holy convocation on the seventh day (Lev. 23:4-8). The two holy days are Sabbaths of rest where you are not to work, much like the weekly Sabbath. Moving into the New Testament, the gospels make careful note of Passovers that Jesus kept during his ministry. The first is recorded in John 2:13-23. The second is skimmed over, though Luke 6:1 probably references the last day of Unleavened Bread. 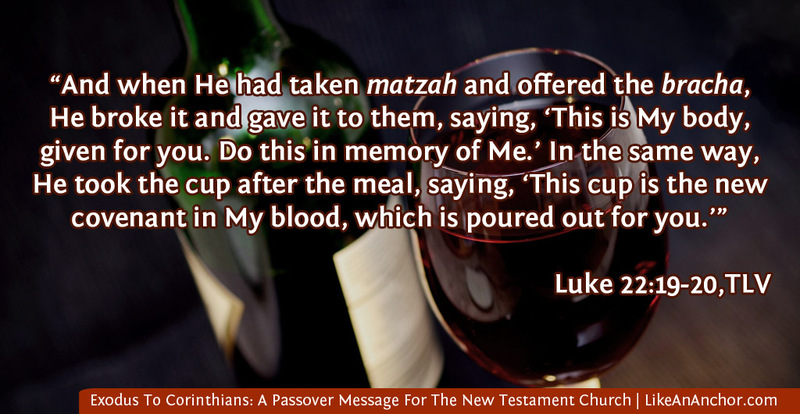 John 6:4 mentions the third Passover, and Christ’s final Passover is recorded in detail by all four gospels because that was the day He died. He then proceeded to institute new Passover symbols for New Covenant believers. Jesus will not partake of the Passover again until the kingdom of God comes in the future, but He tells us to do so in memory of Him (Luke 22:17-20). What Does It Mean For Each of Us That God Is A Family? “See how great a love the Father has given to us, that we should be called children of God!” You can feel the excitement and awe about this fact in John’s words. It’s an incredible thing to realize that “now we are the children of God” and in the future “we will be like him; for we will see him just as he is” (1 John 3:1-2, WEB). One of the greatest truths we can realize about the nature of God and the Christian faith is that God is a family and He is inviting us to become part of that family. God’s most-used analogies for how He relates to us are family-based, focusing on marriage and children. Both the Father and Son deeply desire a relationship with us and to make us part of Their family. In fact, as far as we can tell, that’s the main reason They created people in the first place. 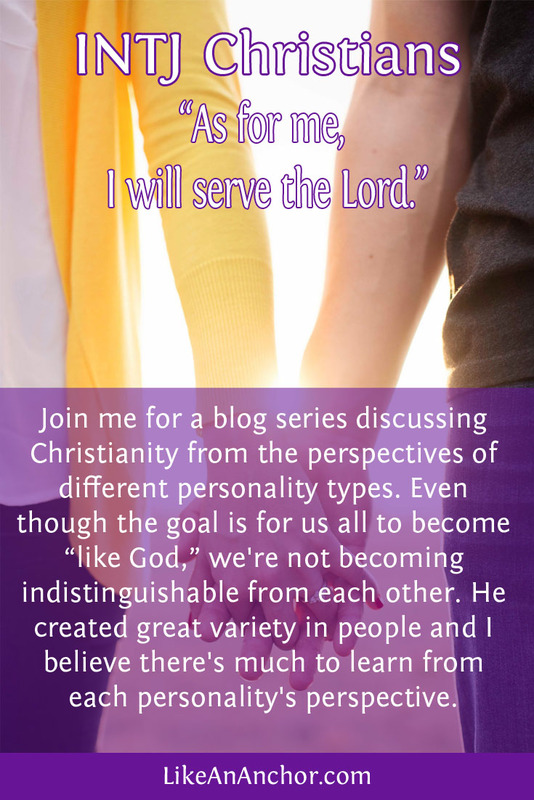 Today’s post about INTJ Christians is the fifth in a series talking with Christians of different personality types. I started this series because when I began discussing faith with different personality types, I noticed they don’t all feel equally valued and understood in Christian churches. If Christianity is a faith meant for all people (and I believe it is), then why aren’t we doing a better job of connecting with all personality types? Our walks with God don’t all look the same. We’re influenced by our backgrounds, variations in beliefs, and individual personalities. And even though the goal is for us all to become “like God,” that doesn’t mean we become indistinguishable from each other. God created great variety in people and I believe He did that for a reason. So let’s spend today’s post hearing from and talking about the unique perspectives of INTJ Christians. Are We Making The Most Of God’s Gifts? Salvation is a free gift that we cannot earn, but which we can lose or refuse because God always gives people a choice. Adam and Eve had access to a close relationship with God, but they also had the option to choose sin and death instead. Ancient Israel was asked to choose between “life and prosperity, and death and evil,” and implored to pick life (Deut. 30:15, 19). The Lord is not willing that any should perish (1 Tim. 2:4; 2 Pet. 3:9), but He also won’t force you into His kingdom. You need to choose, and then act on your choice. We also can’t say “I choose life” and then keep living as if we chose death. We will be judged by what we do with the gifts given to us by God, and for those in His church today this judgement has already started (1 Pet. 4:17). God is watching us now to see what we do with all the gifts He gives us. As we think about our relationship with God and examine ourselves as Christians, we all need to ask if we’re doing what God would want us to do with the gifts He’s entrusted us with. That includes examining how we respond to salvation, how we heed and use His Spirit inside us, and whether or not we’re truly following the example of Jesus Christ. Shortly before His death, Jesus told a parable that illustrates how important it is for us to do something with the gifts we’ve been given. He compares His absence from earth between His first and second coming to “a man, going to another country, who called his own servants, and entrusted his goods to them” (Matt. 25:14, WEB).